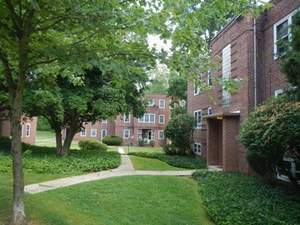 PHILADELPHIA, PA--(Marketwired - Nov 20, 2014) - Rittenhouse Realty Advisors is pleased to announce the note sale on the Hollywood Court Apartments in Reading, PA. The property consists of 48 units situated on a 2.3 acre parcel in a quiet residential area of Mt. Penn, a suburb of Reading, PA. Hollywood Court features an excellent unit mix of one and two-bedrooms and is convenient to numerous shops and restaurants in the immediate area, as well as Route 422 towards Philadelphia. "We have closed numerous distressed deals with this buyer, who is from the Northern New Jersey market," stated Ken Wellar, Managing Partner with RRA. "This is an excellent value-add opportunity in a very stable rental market in Central Pennsylvania," noted Corey Lonberger, also a Managing Partner at the firm. RRA Director Mark Duszak added, "This is a good example of how RRA can perform in different arenas as this is the second note sale we have transacted in the last six months." Based in Philadelphia, Pennsylvania, Rittenhouse Realty Advisors is a real estate advisory firm with an extensive focus in the brokerage of multi-family communities throughout the northeast region of the United States. Formed in February 2013 by a group of advisors with more than 30 years of commercial investment sales experience, our focus is on multi-family and mixed-use properties with significant residential components.